Theta’s client list includes governmental agencies, corporations, and private companies. By meeting and exceeding their high standards, Theta has earned a reputation of providing quality services to each and every client. Theta Technologies, Inc. (Theta) was established in 1987 to serve the federal sector marketplace and has since grown to serve a more diverse clientele including municipal and state governments, and the private sector. 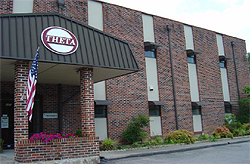 Located in Oak Ridge, Tennessee, Theta is a Woman-Owned Small Business with average annual revenues of under $6.5M for the past three years. We are a technical services company specializing in engineering, design and drafting, and infrastructure support services. Theta is proud to have developed a reputation for quality and expedient solutions to diverse engineering, operations, and maintenance applications with an extremely competitive pricing structure. Theta began serving the federal government marketplace for the Department of Energy by focusing on the specialty engineering and design requirements of the nuclear materials processing facilities. In response to the needs of our clients Theta acquired the capabilities to provide infrastructure support and environmental services. To support Theta’s core capabilities and to provide auxiliary services to our clients, Theta also can provide expertise in project and subcontractor management, health and safety and information technology. Theta qualifies as a Small Business (SB) under numerous SB Administration NAICS codes including Temporary Help Services and Administrative and Management Consulting Services. We are also currently registered with the Tennessee Governor’s Office of Diversity as a Certified Woman Owned Small Business. We have also received numerous safety awards from the Department of the Army and the Department of Energy. Our corporate infrastructure and management capabilities, combined with our hands-on experience in providing similar services, provide the Government with the lowest risk on contract performance.